Eating a healthy and balanced diet is a really important part of looking after yourself. 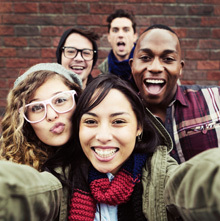 During your orthodontic treatment its especially important to keep your teeth healthy as well as taking special care to avoid damaging your brace. Cut down on sugary and fizzy drinks, even the diet varieties. Limit fruit juice to one glass a day with a meal. Drink plenty of water throughout the day to keep you hydrated. Eat a balanced diet and lots of fruit and vegetables. Avoid toffees, hard sweets, chocolate and chewing gum. If you are eating anything hard which could potentially damage your brace, cut it up into smaller pieces. 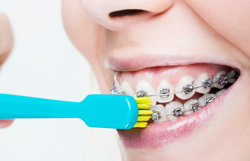 Cleaning your teeth and gums becomes more difficult when wearing a brace that's why it's really important to have a good cleaning regime. 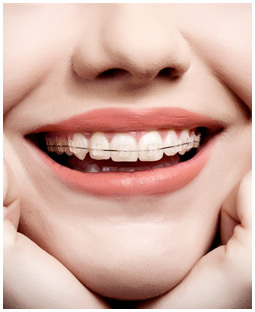 After each meal thoroughly clean the brace, teeth and gums to avoid gum disease and tooth decay. Use an interdental; brush as instructed by the orthodontist and don't forget to pay particular attention along the gums. After cleaning inspect your teeth to make sure all food partials have been removed. 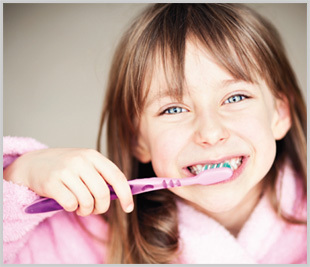 Use a fluoride mouth-rinse daily, floss between the teeth and use an interdental brush. To help check if you are cleaning properly use disclosing tablets to show up any areas you have missed.